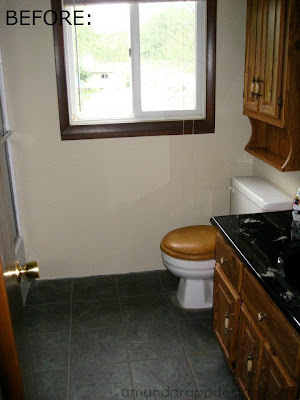 We were pretty lucky to start with decent bones in this upstairs bathroom. 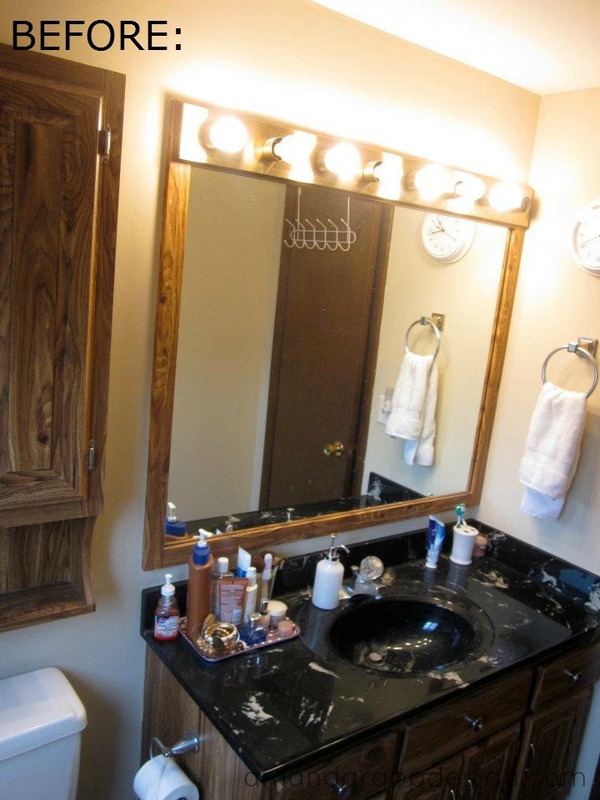 All of the tile and fixtures were in good shape, just needed some updating & style. 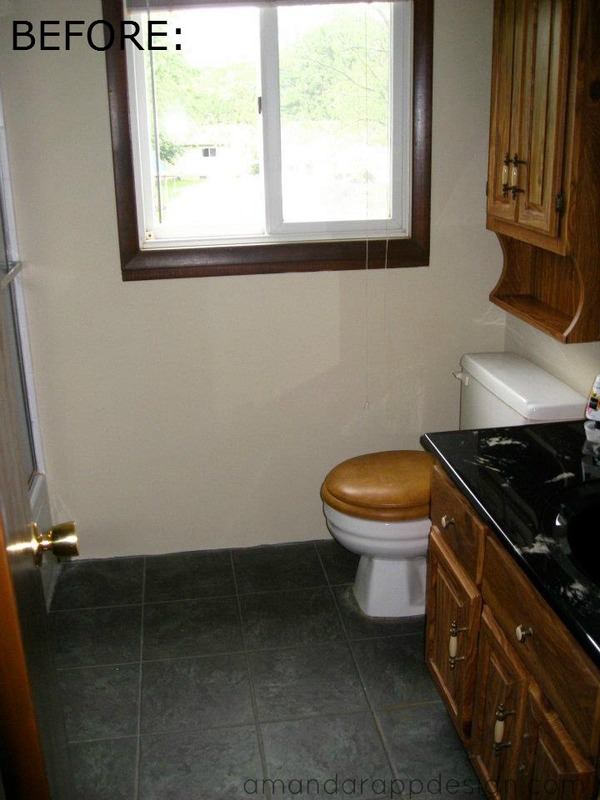 More dark brown trim, a weird cushiony brown toilet cover. What is up with the toilets in this house?? Since this 1970's house didn't have much character, any chance I get to add some molding/details, I did! 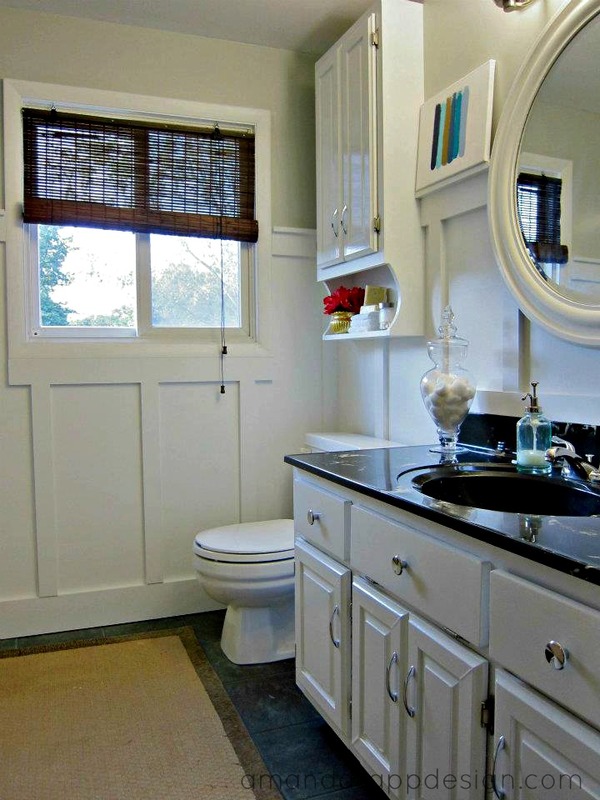 Here we installed board & batten wainscoting. We took it up to about 2/3rds on the wall to make the room visually seem taller. 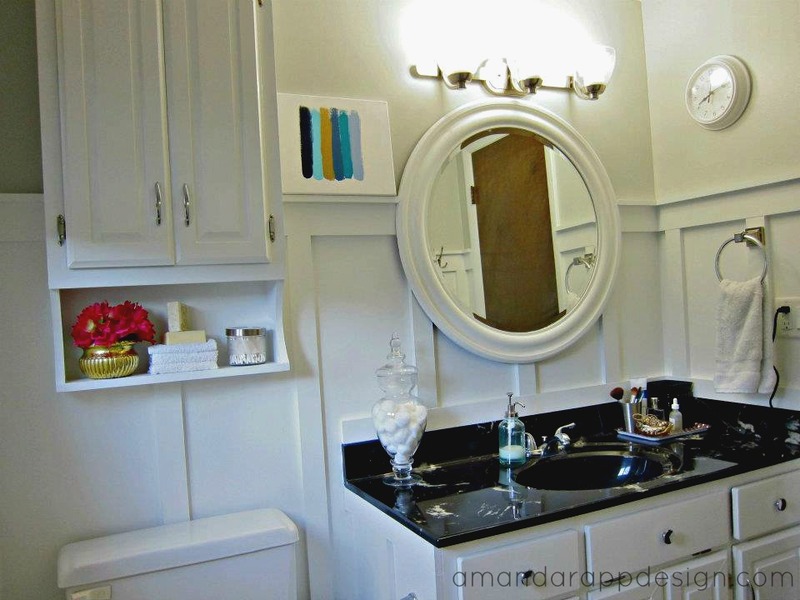 I painted the vanity and the wall cabinet white using the same cabinet paint as the kitchen. The round mirror I found at Hobby Lobby but it was dark brown so surprise, surprise.. I painted it white! Again, we kept the counters to save on $$ and also because it looked so much better that I liked it. Adding in some new hardware, faucet & lighting finished off this project. While there was a little more to do in this bathroom with adding the board & batten, it was still a relatively quick project and I love the outcome!